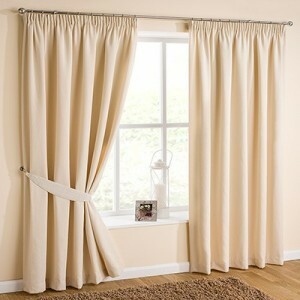 Curtains have always and will remain one of the most popular window coverings around the world. Though curtains are still the most popular window coverings in homes as well as in the commercial settings, but the advent of smart window coverings such as decals and window blinds have cast shadow on it. As curtains can now barely be seen in the offices and all other professional working environments. However, when it comes to homes, there is no better way to cover windows than curtains because they are in perfect compliance with the interior theme; and this is what all the leading interior decorators in Pakistan also strongly suggest. If you visit a local home furnishing store, you’ll come across a plethora of window curtain designs that would leave you confused. 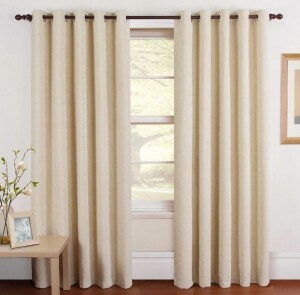 For instance, the pencil pleat curtains are traditional style window coverings whereas the eyelet curtains offer a contemporary look and the list goes on. The pencil pleat curtains are folders that are gathered closely together by an expert tailor. Their name ‘pencil pleat’ refers to the gathering of folders that come together to form a row of pencils, laid side by side. The pencil pleat curtains are created by pulling the cords on heading tape and by winding them around a cord tidy to keep the pleats in place. The pencil pleated curtains are found at majority of the homes across Pakistan because of the sophistication and traditional look they offer. The pencil pleated curtains may be hung in tracks or on the curtain poles. The eyelet curtains are gaining more and more popularity across Pakistan, the reason being is they are easy to handle, move and to maintain. They do not have a complicated railing system and can be easily installed and removed whenever washing and replacing is required. These curtains are suitable only for use with the curtain poles and comprise a row of eyelets which are usually made out of metal. The eyelets of these curtains may vary in diameter. 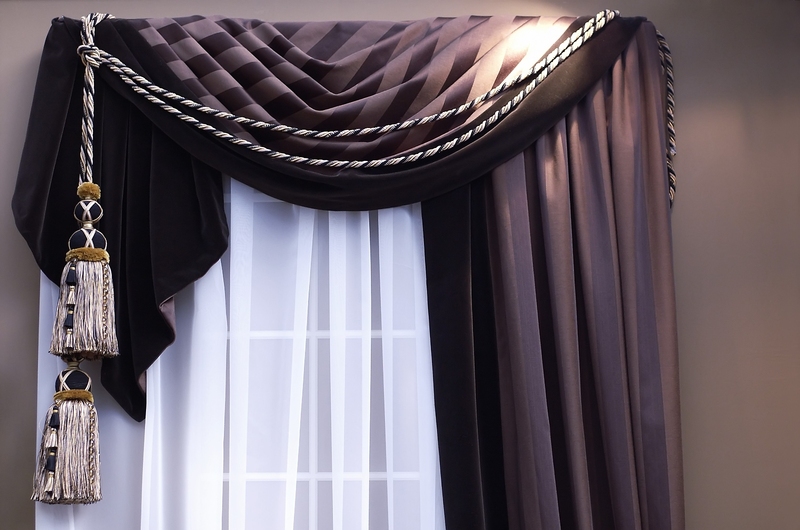 Apart from their easy handling, the eyelet curtains showcase a softer and wider fold. Voiles are ultra-lightweight curtains that are placed on windows to offer partial privacy in a space. Because of their thin and ultra-lightweight fabric, these curtains allow soft diffused light in the room while maintaining privacy during the day-time. These curtains are not suitable for bedrooms, but are a good selection for drawing rooms or living rooms that face the front yard or backyard. The nets and cotton lace curtains are made for use in conjunction with the traditional heavy curtains. When the heavy curtain is slid open, it makes the net curtain visible that not only allows natural light in but also maintains a room’s privacy. Additionally, they can installed for maintaining a room’s interior décor and hiding flaws in windows or their borders.